http://adage.com/digital/article?article_id=112896 (click on the cover image on the page to download the 52 page PDF). I just found a couple old DigitalDay magazine ads, both created by ex-partner Jeff Kahooilahala. Time for a new ad, guys. 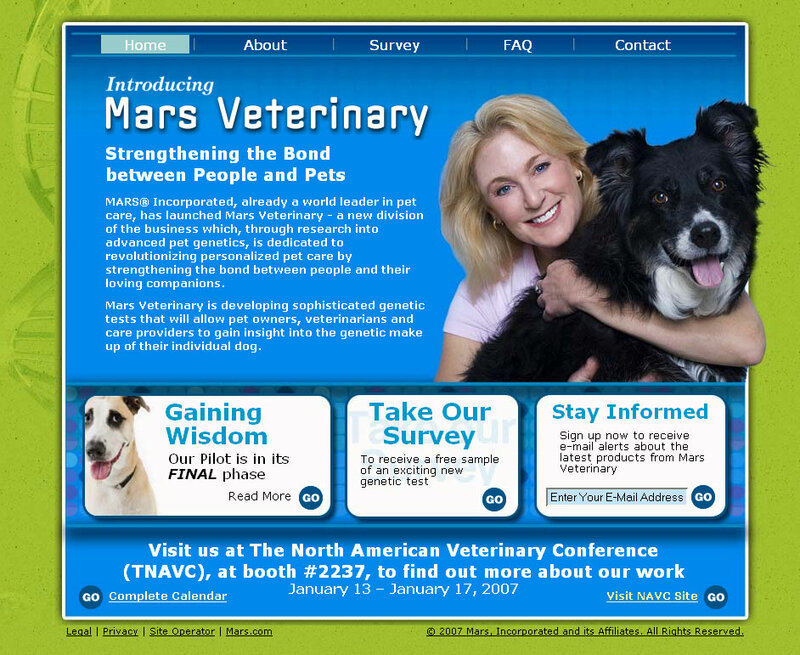 To help Mars, Incorporated launch a new business unit to have a presence for an upcoming trade show, Joe, Laura, Adam and Dan pulled together to develop the new Mars Veterinary web site — in less than a week. Thanks to the client’s generosity, we toasted this launch with a couple bottles of a ’97 vintage champagne. 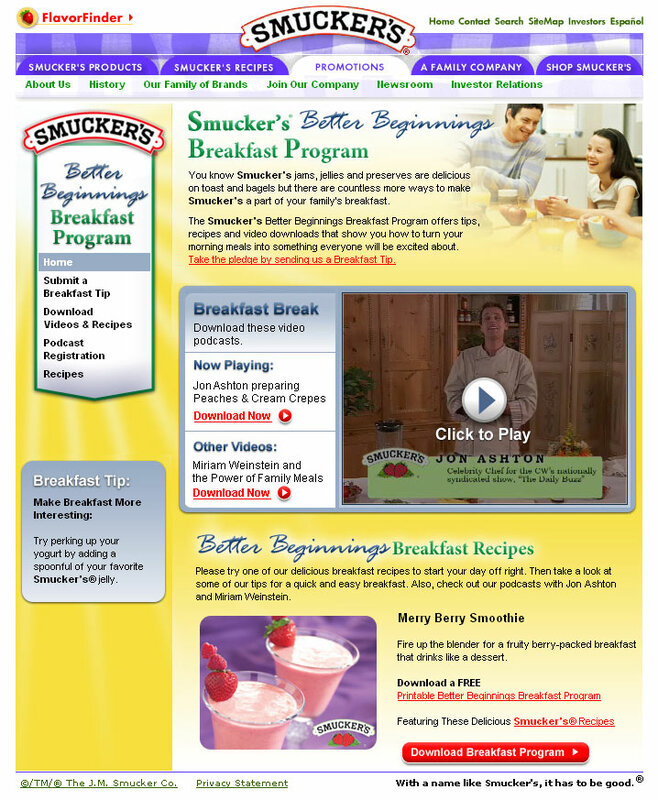 Hat’s off to Will, Nadine, Brad and Shane for this Smucker’s online video promotion featuring chef Jon Aston and author Miriam Weinstein. It’s tough to find talented web pros who can hit the ground running, make an immediate impact and fit into our eclectic culture. We hit the jackpot with the most recent DigitalDay additions. Badminton whiz Songjue Pan, a.k.a. Jenny Pan, is a digital designer who comes to us from DigiKnow, another Cleveland-based interactive agency. Jenny has already proven herself as an excellent web designer who can also code – a bonus. She’s also currently finishing up her Masters Degree in Fine Arts at Kent State University. Who would have thought an ex-IBM guy would be such a good fit with us? Apparently our newest web developer Scott Riggs did – and does. Scott’s programming skills read like a bowl of alphabet soup: C++, XML, CSS, SQL, and more. After his six-year stint with IBM, he had his own one-man web-building business for several years. After several years on his own, he opted to join DigitalDay to work in our creative environment – the health benefits helped, too. Steve Miller, a.k.a. Steven Mercyhill, is DigitalDay’s newest Information Architect and Account Manager. A Cleveland State University grad and freelance writer, Steve’s a web veteran going back to before “the bubble” days. Like Scott, he had his own web business and joined DigitalDay for the opportunity to work on national, name-brand accounts. Impact of Outlook 2007? Not much. — with no embedded players, say goodbye to video email, Flash-based email and even animated GIFs. — worse, is the lack of high-end Cascading Style Sheets (CSS) features like float and position, as well as the ability to fine-tune padding and margins in table cells. Why stop there? You could buy a copy of FrontPage and you have an in-house web design agency. Or maybe pick up a digital camera and a roll of seamless and now you have a photo studio. These are fine ideas if you don’t care about your brand.